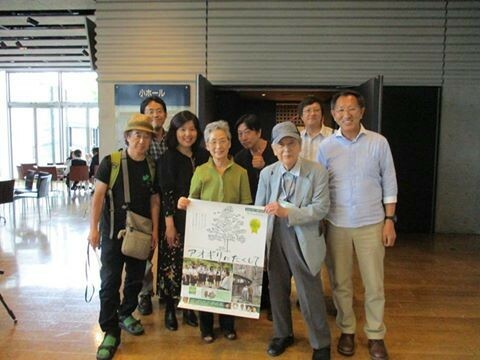 LBI coordinated the first movie screening "Aogiri ni Takushite(-the memory of Hiroshima in 1945) with the message of Anti-nuclear weapons in Iwate. Mr. and Ms. Mizukawa, a big supporter to LBI, came to Iwate and made the speech. Ms. Nakamura, a producer of the movie, did wonderful performance in public. Many thanks for all the participants. No more nuclear weapons and hiroshima and nagasaki!